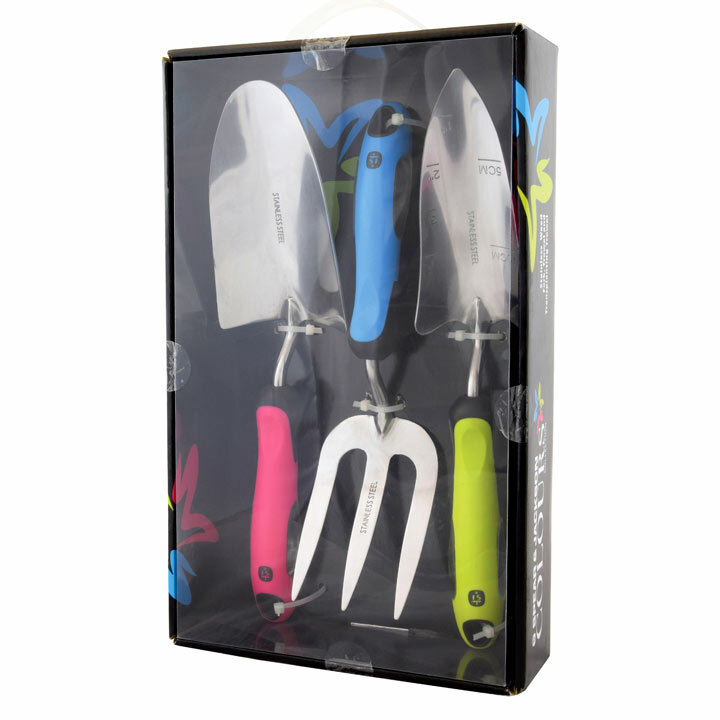 Presented in a stylish gift box, this eye-catching collection of three essential gardening hand tools features stainless steel heads for rust resistance and minimal soil adhesion. The colourful, ergonomic, soft-feel handles ensure comfortable use. 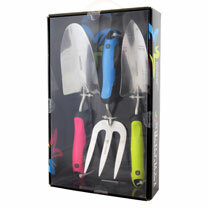 This perfect gift set contains a trowel, weed fork and transplanting trowel. Trowel 32cm length, Fork 29cm, Transplanter 32cm.